New Website Launching in May! Change is scary... 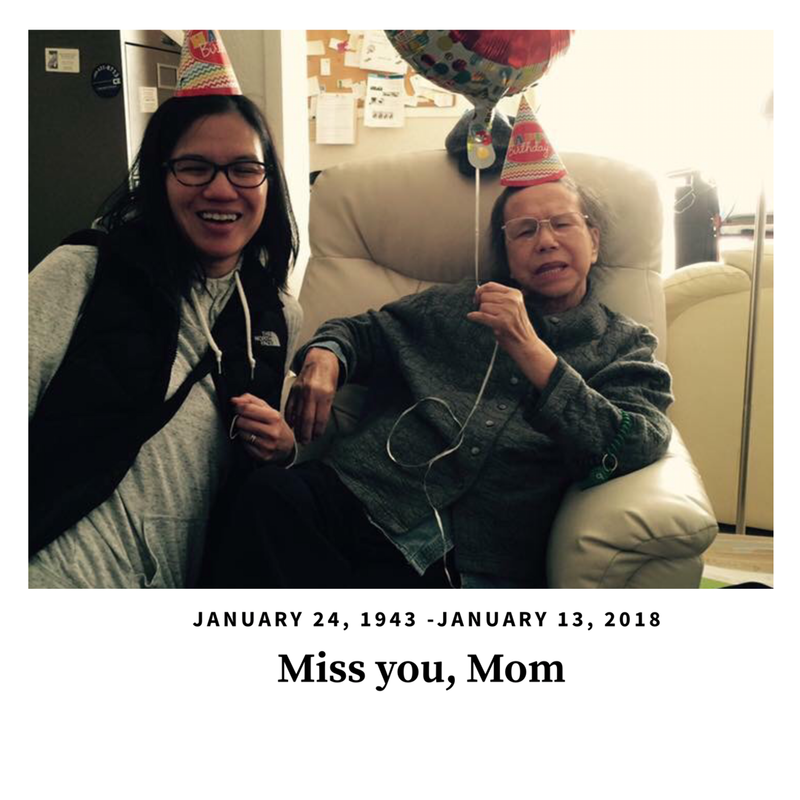 I'm still recovering from losing my Mom earlier this year. 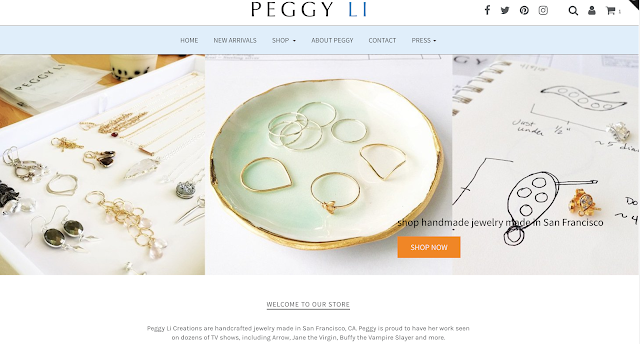 She was ill for the last few years and it's a weird feeling to have "more" time to refocus on things like my business of Peggy Li Creations. Caring for her was certainly not a burden, but like anyone who is a caregiver, you know that it takes a tremendous amount of energy. Current website - may have been modern for, say, 2005! 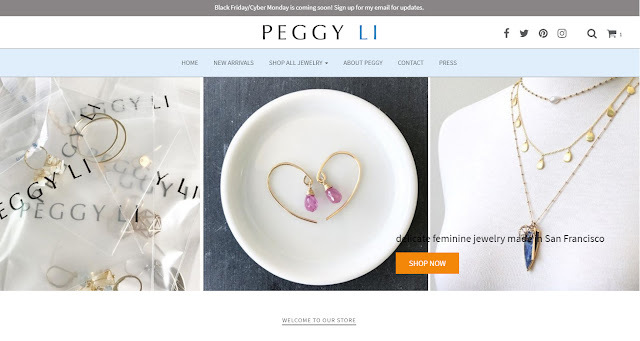 Now that I have time to put back into PLC, I'm getting (cautiously) excited about some HUGE change coming to https://www.peggyli.com! I'm doing a complete site update. Now change is SCARY, no doubt. But it is also refreshing to be able to start completely new on a new Shopify platform. It has allowed me to pare down the amount of items on the website and really start to focus my handmade jewelry designs to be better than ever. Sneak peek - new website in the works!!! Thank you for your patience while I transition to a new website! And as a Bonus for YOU, I have tons of items on deep discount on sale here as I cut down on inventory! When I think of my Mom, I think of her laughter. She had many laughs - a large, open mouthed laugh where her eyes would crinkle shut. A smaller, secret laugh, "heh heh heh" that sounded like she knew a funny secret, and was so pleased with herself. Her smile always filled me with love and even when sitting quietly with her, the gravity of her spirit always filled the room. I have sat more times than I care to remember in emergency rooms and doctors' offices with my Mom. She was never scared, always brave. She gave over to the illnesses she struggled with and was so resilient. 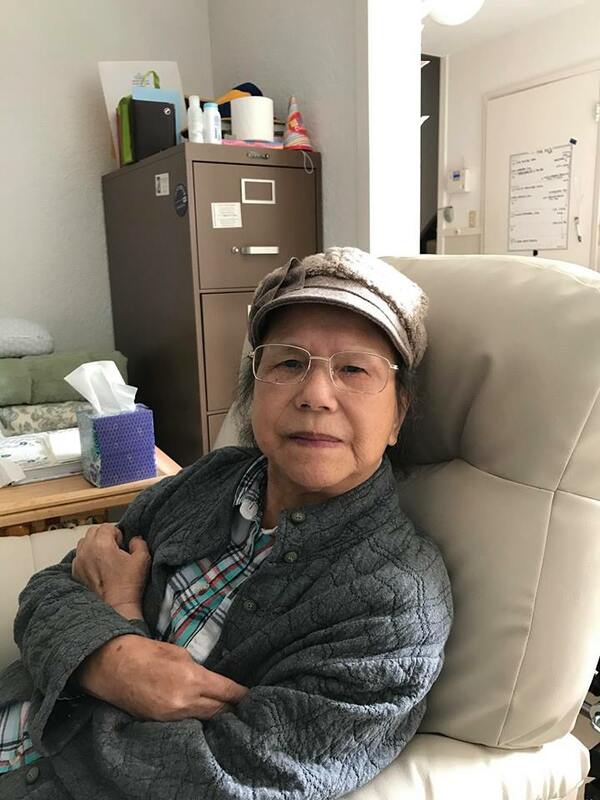 Instead, she lived to enjoy the things she loved, like good food (roast duck always a favorite) and spending time with her children. She expressed herself through art, following the masters and applying her unique view of the world into her sketches and paintings. I wanted to be like my Mom, graduating top of my class in high school and studying Chemical Engineering at UC Berkeley. 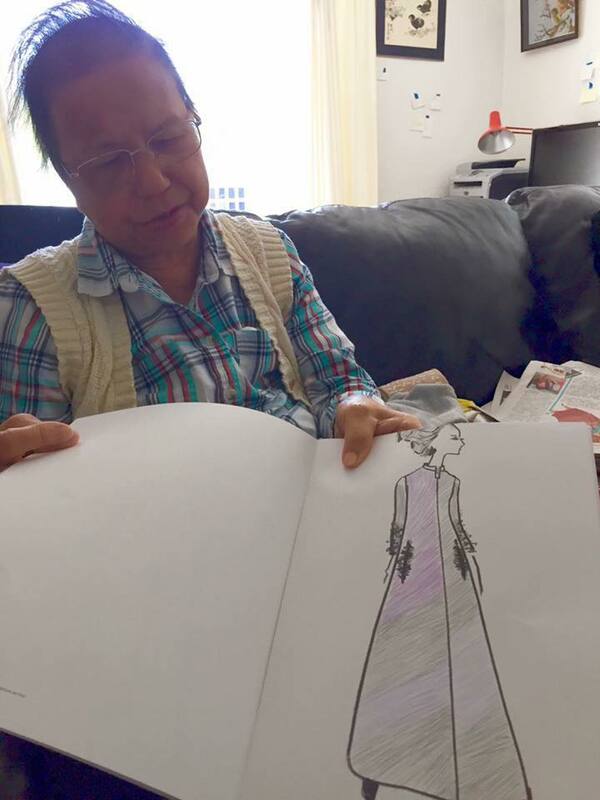 Even though I did not end up in a career in science, I like to think I still made her proud by running my own business doing something completely different, in an artistic field. When I sold my jewelry at a farmer's market on Sundays, she and my father would drive over 40 minutes to see me there. She would maybe sit for ten minutes or so, then she'd be ready to leave. Sometimes I would be busy, and I wouldn't notice that they had left. Sometimes I would be so busy I *wish* they would leave... but whatever the case, I always missed them when they were gone. I know she did not see the world the same as we do. Her fighting spirit is always with me and is the greatest gift a Mom could give to her children. She would tell me she didn't worry about me, because I knew how to live life well. I learned from the best. I will be away from my studio until 2/12/18, taking time off with family (plus a pre-planned vacation to Hawaii) and then returning with some exciting new things for 2018, including, hopefully, new designs and a brand-new website! Hope you will stick around and help me continue to make my Mom proud. For some reason, Riverdale seems to push peoples buttons. Why? Is it because the cast is impossibly good-looking? That they wear miniskirts one minute but heavy winter coats the next? Based on Archie Comics, this show is more Gossip Girl meets Twin Peaks than bubblegum shenanigans. To be honest, I love it. Riverdale fashion rivals the haute couture of Gossip Girl with its mix of vixen chic and good-girl sweaters and coats. Shot in Vancouver, there is plenty of misty atmosphere to warrant the sweaters and plaid, but the over-the-top characters also allows for the strangest of teen trends (choker necklaces, very red lips, high heels in high school). Starring newcomers Lili Rienhart, Camila Mendes, Madelaine Petsch, Ashleigh Murray KJ Apa, Cole Sprouse and Madchen Amick, it's full of beautiful people that are easy on the eyes. Also, the chemistry is off the charts! Whether you are a #Barchie or #Bughead shipper, there is always intrigue and secrets in Riverdale. I love Lili Rienhart as Betty - she sports the classic ponytail, but this Betty is no Betty-bot. With tons of family secrets, Betty always wants to find the truth. 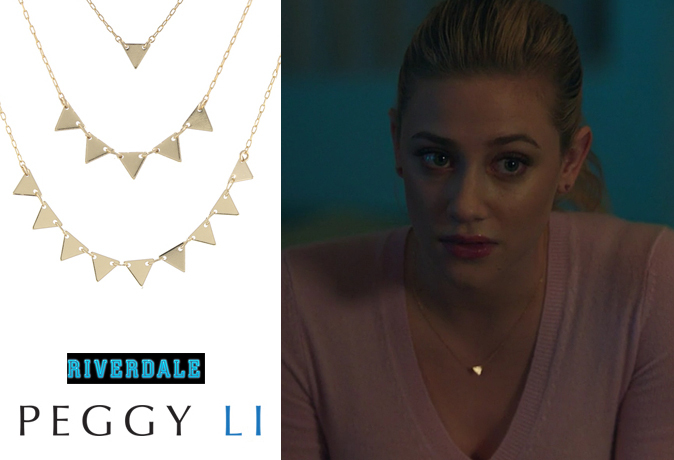 Here, she wears my Triangles Necklace with one triangle in the season 2 mid-season finale, "Silent Night, Deadly Night". She also wore this necklace in the previous episode "House of the Devil". Lili Reinhart as Betty Cooper in Riverdale season 2 episode "Silent Night, Deadly Night". What would Riverdale be without Josie (and the Pussycats)? Played by Ashleigh Murray, Josie and her fashion is predictably sassy and talented. 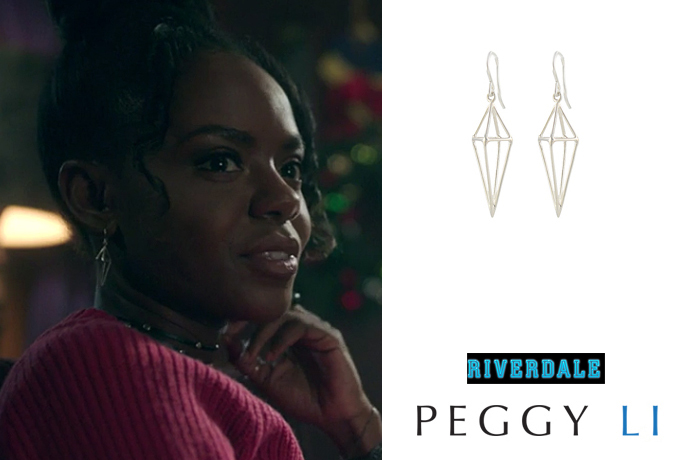 Here, she wears my Triangle Cage Earrings (which have also been seen on Jane the Virgin and Arrow). Josie (Ashleigh Murray) in Riverdale episode "Silent Night, Deadly Night". Already in season 2, I'm excited to see where this goes! They've seemingly solved the mystery of the Black Hood, but that last look by Betty indicates that things aren't over yet. And poor Jughead has already maybe crossed the line while being a serpent. See? So much good drama! Ready for more Riverdale? 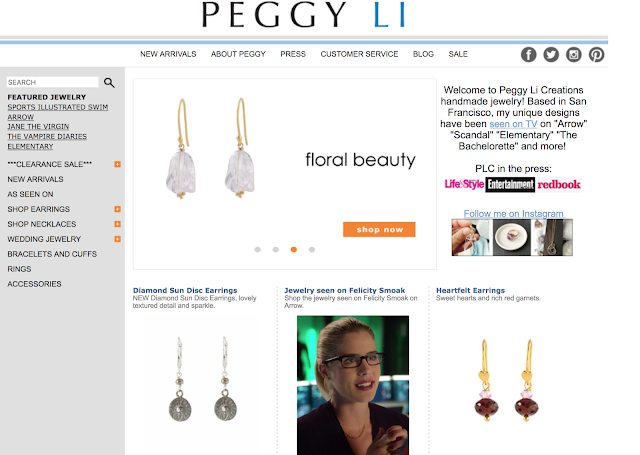 Shop all the Riverdale jewelry looks at peggyli.com.